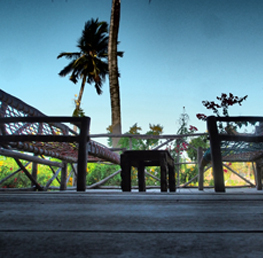 Karibu Sana, our Paje Hotel, a New Boutique Hotel in Paje Village, South-east coast of Zanzibar. 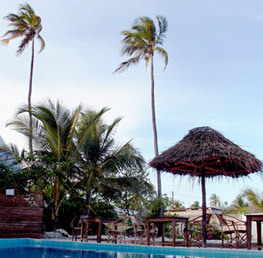 Our hotel has been tastefully converted (2015) from an old traditionally built Swahili Seaside Villa. The Villa is well located in Paje village and very close to Paje beach and all Kite-Surfing & Dive centres, Snorkelling, shops and supermarkets. 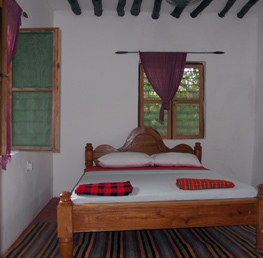 We offer: 5 bedrooms downstairs and an upstairs Apartment, a good mix of single, double and twin rooms. 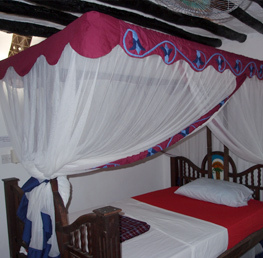 All rooms with: Daily Cleaner, Ceiling Fans, Mosquito nets, Towels and Linen, 5 rooms with A/C, and 4 Rooms have private en-suite bathrooms. 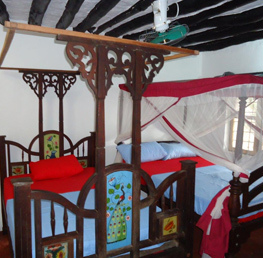 This quiet double room is located at the rear of the Villa; it has two windows and a double bed (6 x 5 foot) with Mosquito net, a ceiling fan, A/C, cloths rack, Linen, Towels and En-suite bathroom. This is a small room which is located at the front of the Villa; with windows. 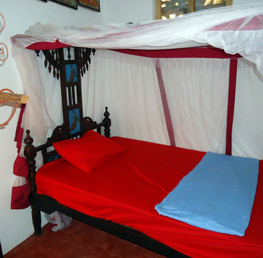 It has a cosy 5 x 4 foot single bed with Mosquito net, ceiling fan, Linen, Towels and use the shared bathroom next door. Perfect for small people and children! An excellent addition for a family needing an extra room! 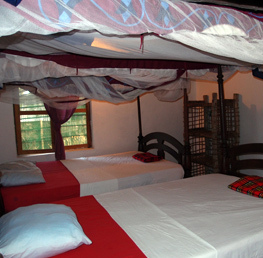 Room 6: Type: Apartment with 2 bedrooms main is, Double + bunk beds En-suite, A/C and Fan: Sleeps 4 adults, adjoining/separate entrance double room with 1 double bed and fan, shared bathroom downstairs on en-suite of the main!